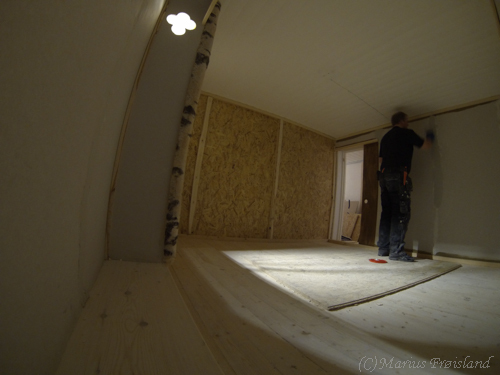 The construction work with the door is done, finally. I have lost count of how many attempts I have made a making a proper door. This time I really think I have got a well functioning system. The door is now sliding on a metal rail hanging from the wall. Actually the door is not even touching the floor. Which means there is one less thing that can give me problems. I was asked what I knew and what resources I used to build my Tea room. I actually thought that was a very good topic for a blogpost. So here we go. I stayed one year in Midorikai and had the pleasure of seeing a lot of different Tea rooms. So I had a pretty good idea of what I wanted the room to look like. 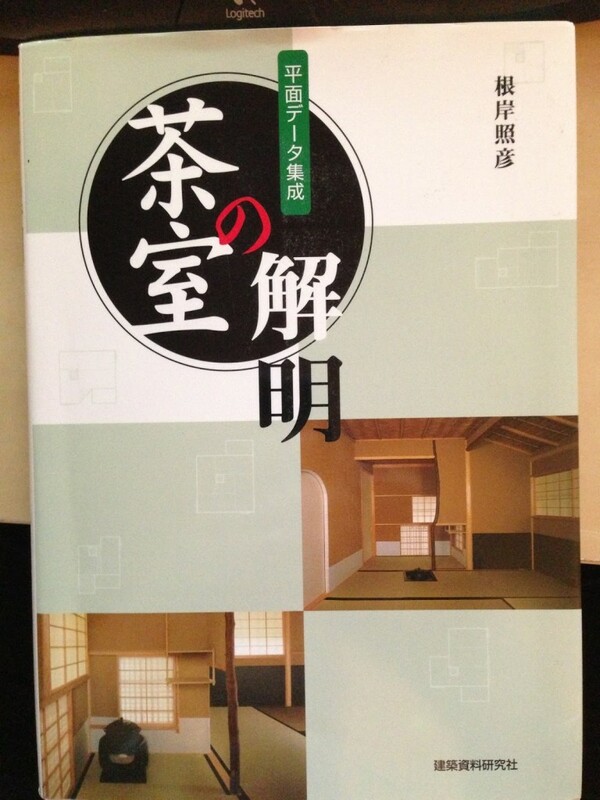 I refereed to a very nice book to confirm my Tea-room layout. It is a great book so I have included a image of the cover. 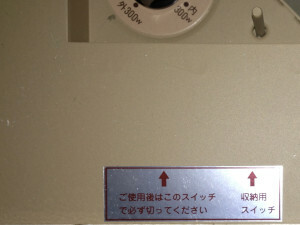 It is probably 10x as good if you can read Japanese, but even just looking at the images provided me with valuable aid. The room I was using forced some constraints on me. For instance there is no way I could make two entrances, or make the tokonoma full size. So there I had to improvize a bit. 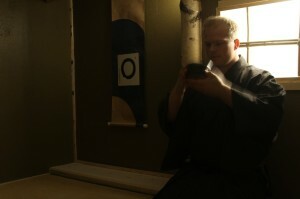 To figure out exactly how much space I had available and how to distribute pillars and tatami I used Live Interior 3D. This is a software for Mac that is very easy to use and create great floor plans. It even made a movie of my design. I posted the movie in a earlier post. I sent the floor plans and the movie to the Tea teachers I know asking for feedback. They gave me good advice on things that I had forgot, or improvements that I should consider. After a few iterations I had a final design. Then to the woodwork. I’m not a carpenter. However, neither am I the least handy person I know. My dad loves building and renovating. He built our first home from scratch and renovated a house from 1935 as our next home. 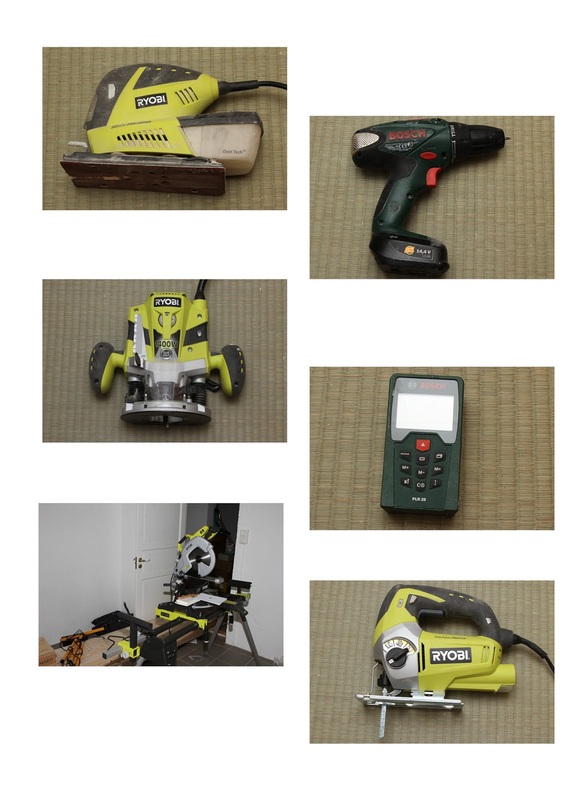 So this has exposed me to a certain amount of carpentry, but mostly as the assistant fetching tools and wood. Also I might note that this is not my first Tea-room. I’m going to make a image post about the evolution of my Tea spaces later. Sufficient to say I have tried and only partially succeeded in making a room based on shoji walls, but I had previously made fake mud-walls successfully. From my experience with the different rooms I have made Tea rooms can be a fairly simple structure. 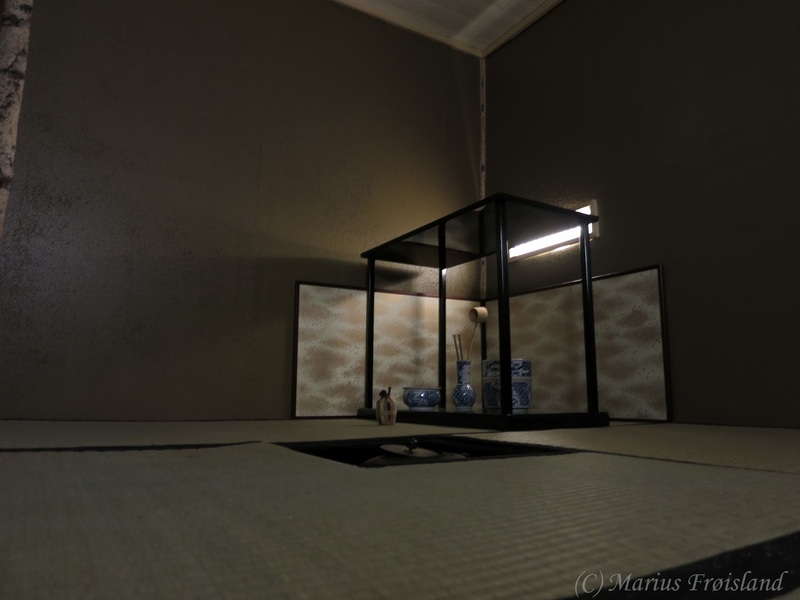 Basically you need a frame around the tatami and some walls. The walls can be as simple as a painted sheet of wood, or as complex as a real mud wall or fusuma. I believe that with some experience from renovating, making a garden fence or some such thing that most people should be able to make a decent room. The main problem with making a room I guess is that unless you have seen a lot of Tea rooms you need a few iterations to get it the way you wanted. Some one once told me that if you are building your own home you need to to it five times to get it perfect, I guess Tea-rooms are the same in this regard. Making a platform for the entire room to rest on. It has to be perfectly even and stable. The main purpose of this was to allow a sunken ro, but also to reduce the height of the room. Hiding the fact that I had cheated. I want the room to appear authentic as much as possible. That is no visible torx, no apparent modern materials and so on. My room is far from perfect in this regards, but there is very few obvious cheats visible. The level of details involved in cutting every piece of wood the exact right size. I got some small gaps that should not be there because I failed in this. 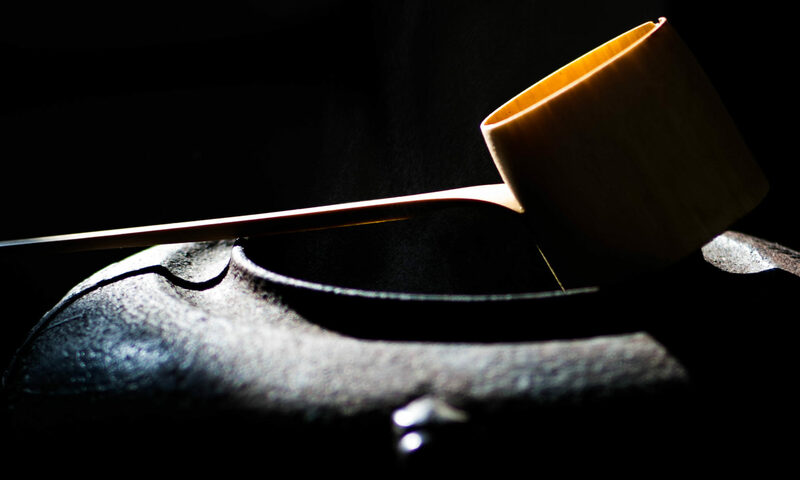 Trying to get everything as “correct” as possible from a Tea perspective. I very much want to avoid to having to settle for workarounds. Again that was impossible for some things like the doors and tokonoma. Electric drill, everything in my room is fasten with torx screws. So this has been a absolute must have tool for me. Miter Saw with Laser Marker, for cutting all the planks and pillars. I could have substituted this one for a handsaw and about a million calories. I would still be working on the floor if I had not had this. Sanding machine, all pieces of visible wood was given a quick sanding with this machine. Again something that you could do without if your willing to put in the extra effort and do it by hand. A machine to make grooves in pilars. Sorry could not figure out what it is called in English. All my walls slide into groves to make the transition between walls and pillars as smooth as possible. This is not strictly necessary. The only place you really need it if for the doors. They need to go into grooves if you do not want to cheat and use a modern solution with wheels or something suspended from the roof. Thin plaster walls are easy to work with and cheap to buy. 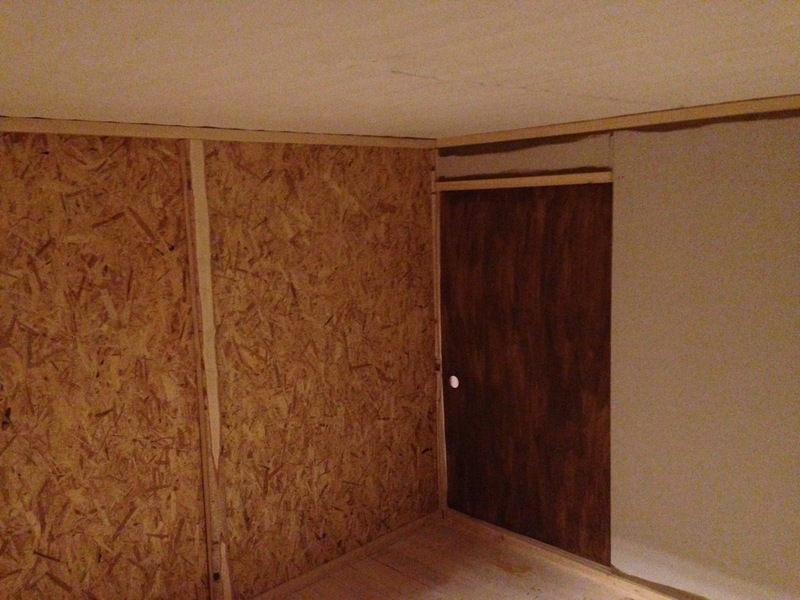 However, if I could do it over again I would have made it all with the 21mm wood sheets instead. The plaster bends slightly and will not support any weight if you touch them. Make the mizuya shelves very deep. I got only 20cm, but 27cm would have been way better. Lighting the room by using a shoji window with spotlight behind works very vell. But it would have been a good idea to have more than one window. With only one window spots can become very dark when someone or something is blocking the only window. Today I enjoyed a bowl of Usucha in my new Tea-room. It was a nice feeling to be able to use the room after all that effort. It will be even better as soon as the new tatami arrives. All the light for the room comes from two windows lit by spotlights. The windows behind me is by far the largest, and the main light source. The room is evenly lit by a soft and comfortable light. It could have been a little bit brighter. I’ll need to get another spot to achieve that. The image is taken with out flash and with only the light from the windows (0.8 sec at f 4.0 and ISO 500). This was also the first time I used the electric ro. It is brand new and have never been used before, even though I have had it for several years. It gave a very low heat output even when I set it to 600W. Wonder what is wrong. There is a output wheel and a little stick next to it. I have no idea what that does. 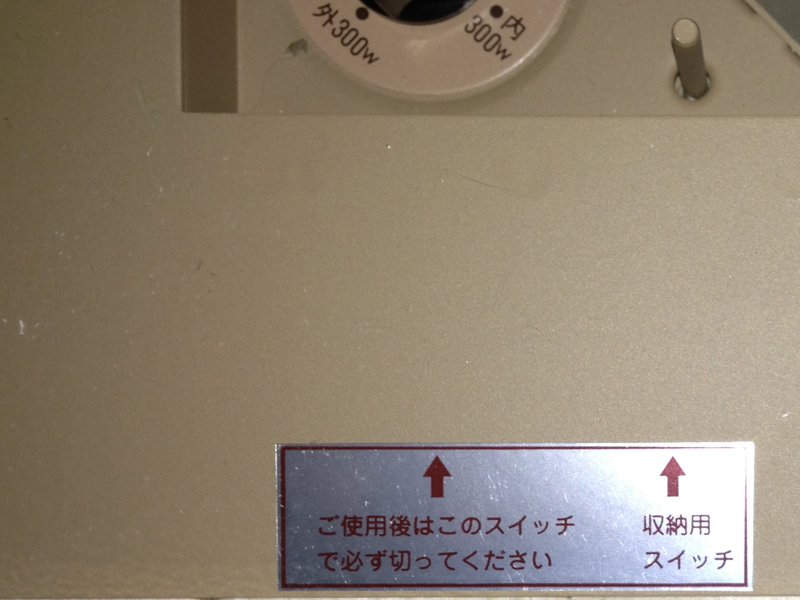 Can anyone translate the instructions? Please help me with translation! 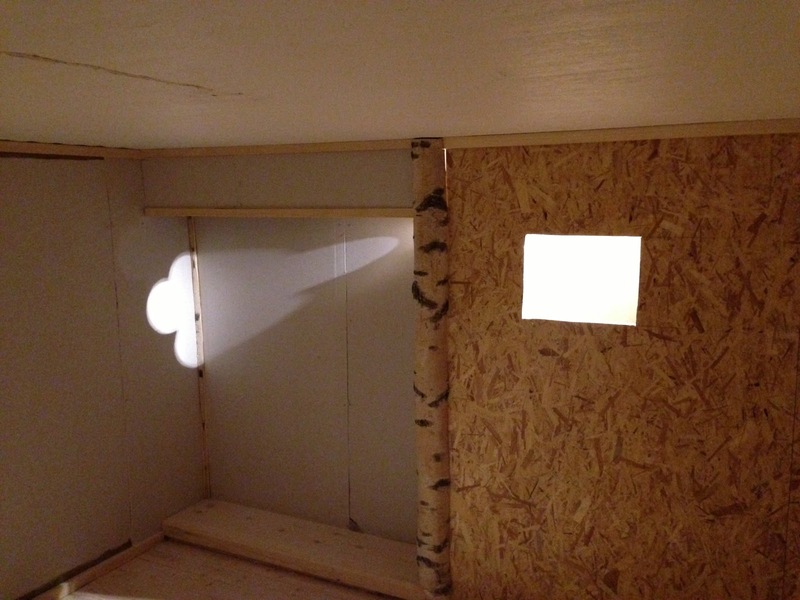 After having moved the window on Friday I started painting the last wall segment on Saturday. After two layers of paint and sand I could mount the sliders for the actual window. 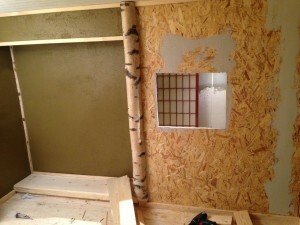 However I had done some foolish mistakes in calculating the size, so the window did not fit. I had to disassemble it and make a second attempt. I’m not totally satisfied with the way it turned out, but it will do for now. While waiting for the paint to dry I had time to make finish the water disposal area in mizu-ya. 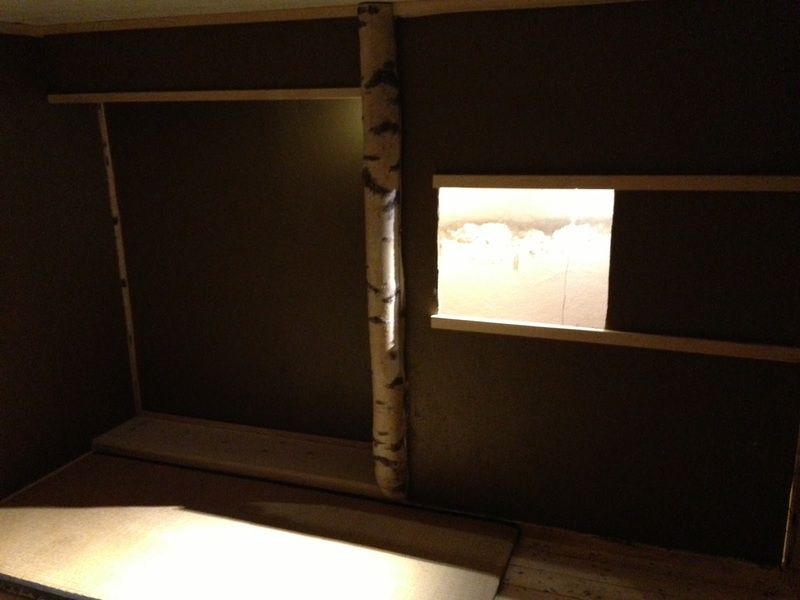 I had planned to have the bamboo cover go from wall to wall, but only be 20 cm deep. For several reasons it was more practical to have it 43 cm deep and not as wide as planned. The image shows the final result. 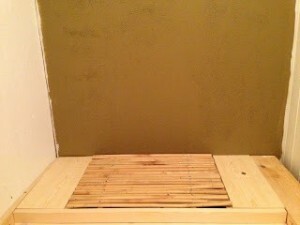 Both the bamboo cover and the wood on the sides can easily be removed to empty the waste water container below. I also had time to clean up the room. All the left over wood has been removed to the garage. I have dusted an vacuumed the room, and I’m looking forward to having some Tea in it tomorrow. There are still some things to do, but it has the feel of being nearly finished. In the Tea room I need to complete the window and make a cover for the ro. Beside that there is not much more I can do before I get some supplies. I need the blue and white paper that will cover the bottom part of the walls. Furthermore I need the hooks for the scroll and flowers. 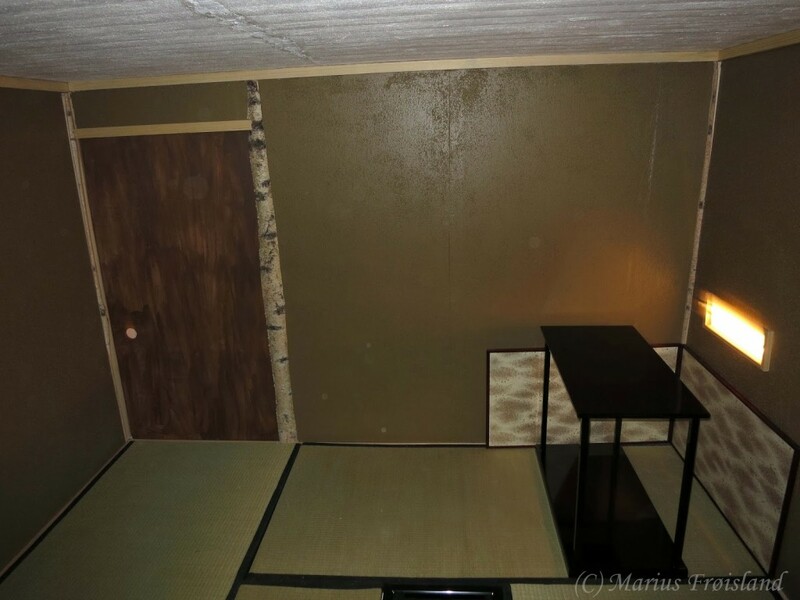 And not to mention, I only have to very old tatami that are the wrong size, In the mizuya I need to get the measurements for the shelf, and than build it. Hopefully I’ll get some measurements on the 17th. I also need to paint the mizu-ya door and figure out what to do about the space between the right most piece of wood and the wall. The space is barely visible in the image above, but it is very visible when you move about the mizu-ya. As long as I get the tatami and the mizu-ya shelves the rest is details. I have had a few days break from carpentry. I needed to do some other things. Earlier I got feedback on the size and placement of my window. So now I have lowered it and mad it larger. The bottom is now at 78cm, just above the height of a nijiriguchi that is 66-78cm. 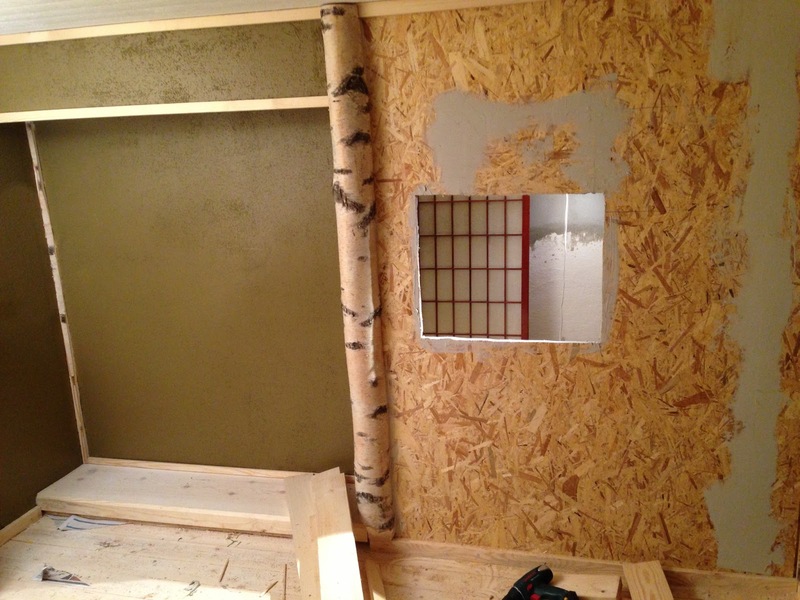 The window size has been increased from 40x30cm to 60×50. Visually it could have been even bigger I think. However, the wall is only 130cm and I want to be able to slide the window out of the way so that I can opperate the lights that are mounted behind. Also it might be a nice place to have another shelf for dogu. I hope that I will be able to paint and finish up this wall during the weekend. Still waiting for measurements of the mizuya shelves, so I can’t start on them. Hopefully I will get some measurements next week. Finally the room is starting to look like a Tea-room. Was able to finish up both the tokonoma and the rest of the walls today. Made two small windows. One in the side wall of the tokonoma to give some light to the scroll, and a second window to give light to the rest of the room. Since my Tea-room is located in the basement there is no natural light. My windows therefore opens only to a small area lit by two led-spotlights. I’m planning to make small shoji screens to place in front of the two windows. Both to hide the spotlight and to soften the light. The images today is shot without flash, and the room is lit only by the two “windows.” A nice benefit of the larger window, is that from it I can reach both spotlights to control their intensity. After the photos were taken I went over and applied spackle to all the seams and cracks. Probably need to do that once more when it has dried. Then I can start painting.